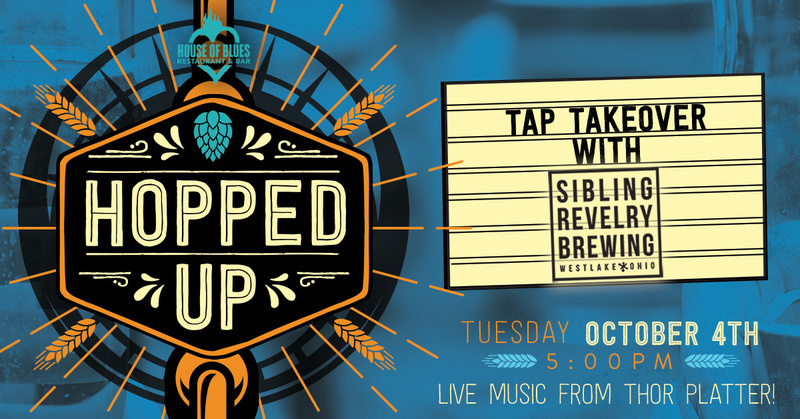 October 4, 2016 5:00 pm Cleveland, OH | Hopped Up Tap Takeover with Sibling Revelry Brewing @House Of Blues Cleveland | 308 Euclid Ave.
Thor Platter plays throughout the event! At 5:00PM, enjoy food specials made with Sibling Revelry beer, giveaways, & live music from Thor Platter! Stay up to date and RSVP on our Facebook event page HERE!